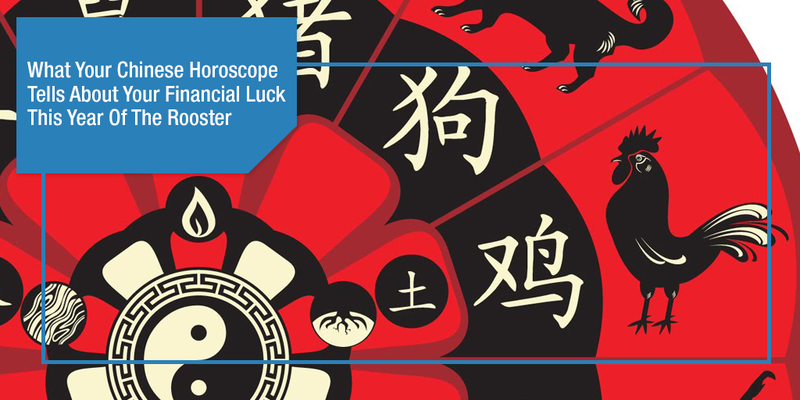 With special Tikoys (rice cake), ampaos (Chinese red envelopes), mooncakes, Feng Shui traditions, dragon dances and other luck-filled beliefs and charms the Chinese New Year brings, another sought after fortune telling practice is through the famous Chinese horoscopes. However, if you’re planning to make an investment, now is not the time. But it doesn’t mean you don’t have to, if you are seriously considering an investment, it is best to study your investment extensively! Plus, avoid unnecessary expenses and borrowing money from others instead focus to have emergency cash! Don’t worry, an increase of income is likely to happen at the later months of the year. So, the meantime, be patient and be wise in managing your finances. Although there’s good luck in terms money, you will be extravagant this year. Even if you don’t want to, there will be a lot of expenditure coming the way. Fortunately, this will not last long and you can gradually save money before th year ends. This year is also a good time to start a business! Don’t miss out on the rare opportunity to do so. Your calm and down-to-earth characteristics toward work will bring you a stable business development in this year. However, you have to be cautious during the first part of the year. 2017 lets your creativity and original ideas provide solutions to difficult situations. This is not a good year for speculations or other risky businesses. Postpone big investments and, generally, take the advice of experienced people before signing contracts or making transactions with large sums of money. As professional success means an income increase, you rabbit-born signs need to be careful as you will be tempted to make big plans with big expenses. However, managing spending wouldn’t be a problem since your are good at it. So as an advice, just be cautious with every new investment and evaluate relatives who would be borrowing from you to avoid financial loss. While it is definitely their year as there are new opportunities and breakthroughs in careers and businesses, So, it’s time to step up and face your fears. You will be quick-minded and think more actively with high productive levels making good use of your talents. The chances for promotions are in luck as well and a change in jobs or career shifts will open you to great perspectives. With everything going smooth, take care not to spend too much. Be sure to pay your debts, save and grow your money through investments. This year will be financially challenging for you. You won’t feel luck working out things for you. But this can be prevented through good financial management. Avoid making impulsive money decisions and rather think before you buy. You will turn out to be financially wise at the end of the year. Don’t worry, you can count on help with those trustworthy around you. Horse-born signs will have good luck in career bringing in more opportunities to make money and save more. There will be an increase in income as well. The investment, if done intelligently, will be of good use at the right moment. With a good stream of wealth, you should still be cautious as it will also be easy to suffer from financial loss. This year may not be the most favorable one for you in terms of cash flow. Be prepared in advance with upcoming financial problems. To ease the tight budget, you should learn to increase income, deposit enough savings and limit unnecessary expenses. On the bright side, the professional level is the most favored in the year of the Rooster. So, opportunities to show your skills and the experience you gained so far will start to show up. With that, you may expect a promotion at the end of the year. Although you will be unlikely to have large income, your wealth will be stable, especially the income from work. The steady job will be more suitable for you in this year and you may get stable income as long as you work carefully.Be warned about your tendency to spend a bit too much, especially since it seems you have planned some big expenses for your home in 2017. Be very careful on what you spend your money, calculate your budget thoroughly and take no chances! While fortune sees little, you don’t have to worry! Your work will keep you afloat financially. It is recommended, to be wise with money management. As much as possible, keep yourself away from tempting to make big expenses. In time, fortune will improve, so keep your spirits high. With a prudent attitude, you will be careful with your investments. Dogs will have an overall positive luck in career as well. There are high chances to be promoted on a more important position, with responsibilities that are a match to your competence and with corresponding advantages. We recommend you set aside the modesty and bravely support your qualities and what you deserve. You might even start your own business, which will prove to be profitable. So take advantage of this year. Generally, this year is not on the financial side of those pig-born signs. Investments won’t go smooth and an impending financial emergency in your family will come knocking your door. But don’t fret! You will not go bankrupt. Be on the guard and prepare for the rainy weather instead. On a positive note, this year is suitable for you to study or get further education, during which you can better understand the problem and put into practice for the obstacles met in work. In addition, you will travel a lot in this year. While the stars may tell something about your fortune, this doesn’t mean you have to entirely rely your future with it. Remember, the future is full of opportunities. A lot can happen and it is up to you make the best out of it. Hence, have a prosperous year ahead! In any case you need extra budget, you can always get quick cash loans from PawnHero .